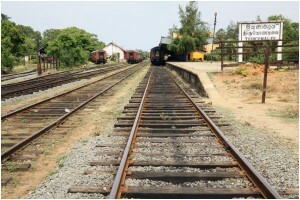 Sri Lanka’s main attractions are accessible by train. If you consider the journey as an adventure, you’ll have fun enjoying the awesome scenery, and the people you meet. 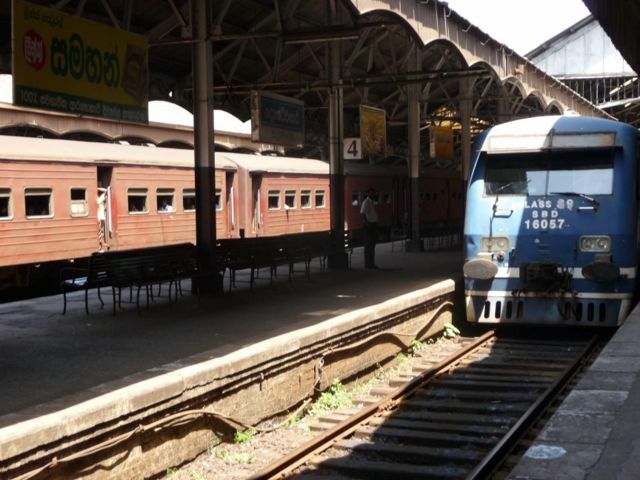 There have been trains in Sri Lanka for 150 years, and some of the rolling stock is pretty old so don’t expect the efficient luxury of train travel in Europe, North America or Australia. While steam engines were phased out several decades ago, some of the diesel locomotives and their rickety passenger carriages have been in service for more than 30 years. These run on the same lines as sleek, modern Chinese, Indian or Korean power sets, so you’ll need to do some research to catch the best. Buying a ticket is simple. Turn up at the station at least 10 minutes before the train is scheduled to depart (or earlier so you can secure a seat if you’re boarding the train at its originating station), join the queue at the ticket office, buy a ticket, then wait patiently for the (often late) train to arrive. It’s best to board the train at the nearest carriage, and then work your way along the aisle to find a vacant seat. If there is 2nd class available, buy a ticket for that as it doesn’t cost much more than 3rd class and the chance of getting a seat is better. 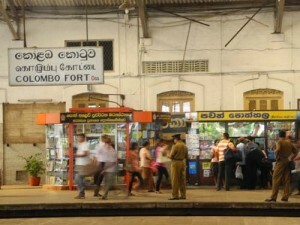 Some trains have seats bookable not more than 10 days in advance through Colombo Fort Railway Station. Privately run luxury, air-conditioned carriages with comfortable seats attached to some trains can be booked on line (www.rajadhani.lk & www.exporail.lk). There is an efficient on-line railway timetable service run on www.gov.lk which gives train times and fares. 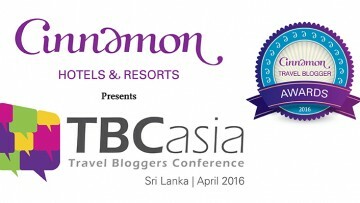 Here is our brief guide to Sri Lanka’s best train trips. For a day trip, opt for the Intercity Express (ICE) that leaves Colombo Fort at 07.00 and rattles through lowland plains before climbing to reach the plateau crowning the former Kandyan kingdom at 09.30, a rail journey of 118km. The train leaves for the return trip at 15.00, arriving Colombo at 17.36. There is also a morning ICE train leaving Kandy at 06.15 reaching Colombo at 08.52 and returning from Colombo at 15.35, reaching Kandy at 18.06. All the ICE trains have an observation saloon as well as a privately maintained, luxury air-conditioned carriage. Real rail enthusiasts have a choice of traditional train travel or going to the hill country by the modern Chinese-built power sets that have air-conditioned 1st class as well as 2nd & 3rd class compartments. These smart new trains leave Colombo at 05.55 and 09.45 daily to reach Badulla, a distance by rail of 290km (via Kandy), at 16.06 and 19.23 respectively. 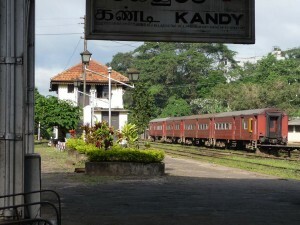 A train with older carriages hauled by a diesel locomotive makes a departure daily from Colombo Fort at 08.30, by-passing Kandy to arrive at Badulla at 17.55. As well as an observation saloon, it also has 2nd & 3rd class carriages and air-conditioned luxury, privately maintained carriages. This train leaves Badulla daily at 08.30, reaching Colombo at 18.57. The hill country rail journey is scenically impressive, with the most dramatic section of plunging valleys and misty mountains viewable as the train climbs to the track’s summit of 1,911m (6,266ft) above sea level at Pattipola (223 rail km from Colombo) on the journey from Nanu Oya to Haputale. 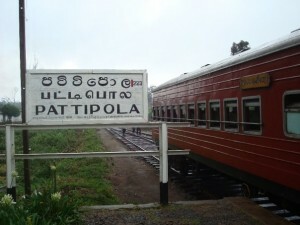 The Northern Line is being extended to Jaffna and is popular for tourists visiting the ancient city of Anuradhapura. Scenically the journey is not as dramatic as a hill country trip as the train speeds across plains, but it delivers a fascinating insight into rural life. 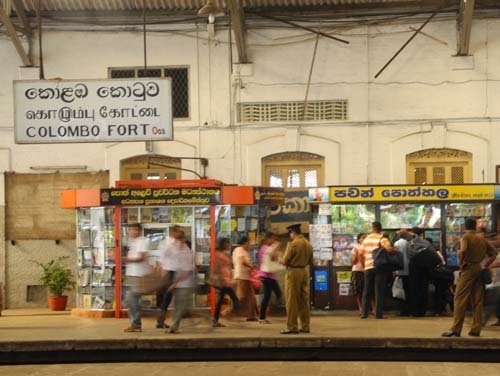 Fast trains have an air-conditioned observation saloon while the 16.20 departure from Colombo Fort which arrives at Anuradhapura at 20.06 has a privately-operated luxury carriage. That train returns from Anuradhapura at 06.40 arriving Colombo Fort at 10.25. At present only one train a day (and that’s overnight) runs between Colombo and the prominent East Coast port of Trincomalee, a journey of about 295km by rail. The journey begins as the train follows the Northern Line route to the interior town of Maho and then branches off through forests and plains to the East. The train has a privately-operated luxury air-conditioned carriage on Thursday, Saturdays and Sundays, with a return from Trinco on Friday, Sunday and Tuesday. 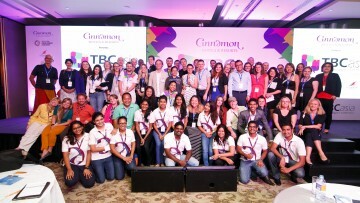 It leaves Colombo Fort at 21.00; arrives Trinco at 05.10; and from Trinco at 19.30, reaching Fort at 04.05. 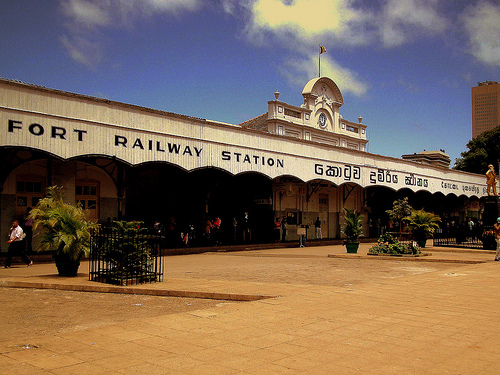 This is a super trip by rail since the line runs alongside the West Coast beaches from Colombo to Galle, and then along the South Coast to Matara. There are several trains a day but only one (the 06.55 departure from Colombo, arriving Galle at 09.26; returning as the 14.10 departure from Matara and departing 15.30 from Galle) has seats bookable in advance on-line in a private air-conditioned luxury rail car. Using this train it’s possible to make a day trip of 62km by rail to Bentota (for the beach) or 116km to Galle (for the irresistible charm of the old walled Fort). 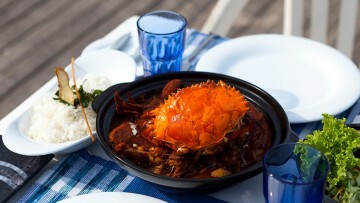 It’s an easy and enjoyable trip, even though you’ll have to get up early.